Al-Waahid and Al-Ahad both come from the same root but differ slightly in meaning. The root is waw-haa-dal (و-ح-د), which means ‘to be one’, ‘the only one’ or ‘to unify’. Al-Ahad is completely unique. Al-Waahid has no partner. So we can say that Al-Waahid is the One and Al-Ahad is the Only One. So God Almighty is the One and Only. 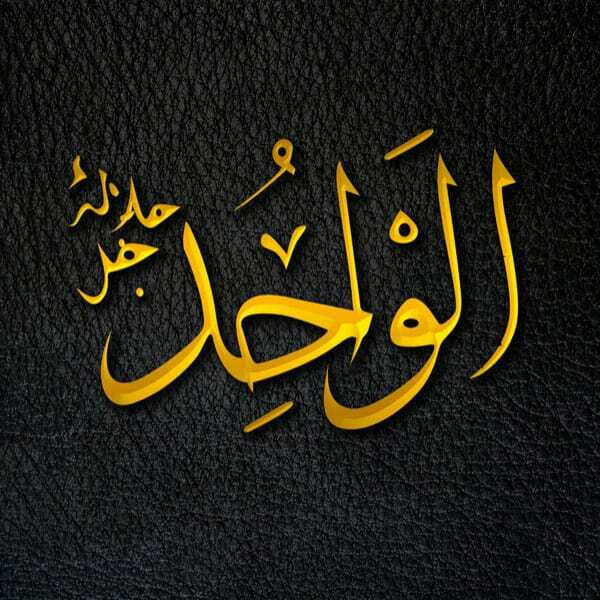 The Name Al-Waahid, on the other hand, appears 15 times in the Qur’an, six times with His Name Al-Qahhar. God Almighty brings Al-Waahid Al-Qahhar together because, in order to overpower others, human beings usually need to bring their armies and cannot do it alone. However, God Almighty is telling us that He is the One, and He overpowers all others alone. Moreover, Imam Al-Ghazali, may God have mercy on him, states that Al-Wāḥid is the one who can neither be divided nor duplicated. Theologically, this sums up the difference between Islam and other faiths; for example, those who say that God is One but is also three, or that God is One but He is in everything. The Name Al-Wāḥid tells us that He is just that: One, without any parts or equals.